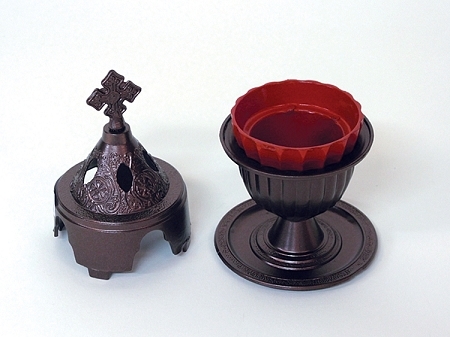 This two piece incense burner doubles as a candle holder. The interior cup is made of metal and measures 2 inches in diameter. The burner measures 7 inches high. Burner comes in your choice of bronze, silver or gold tones.